The mints settle a queasy stomach and freshen even the most Dragonesque breath. They can make any beverage minty, help clear a stuffy head, and even defeat the munchies. And then there are the tins. 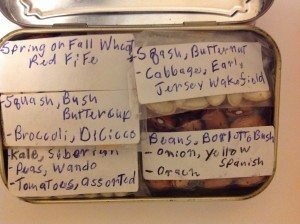 What junk drawer would be complete without an Altoids tin (or two) full of whatnot, so why not use one or more for your own seed vaults? Long a favorite of Scouts, hikers, and others needing to travel very lightly, the tins have become the benchmark for the lowest-common-denominator of necessity. 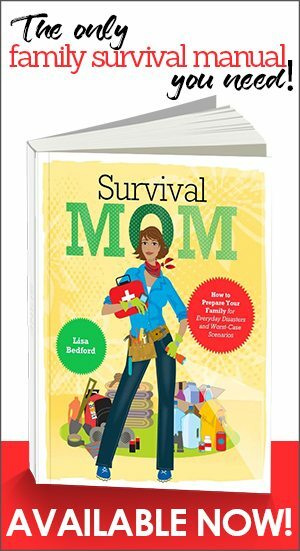 Books and the internet offer instructions for tin-based kits covering almost everything from watercolor paints to emergency survival (BOATs: Bug Out Altoid Tins). Altoids tins are so very popular that empty, blank tins of the same exact size are sold. A few actually include “Altoid tins” in the description. 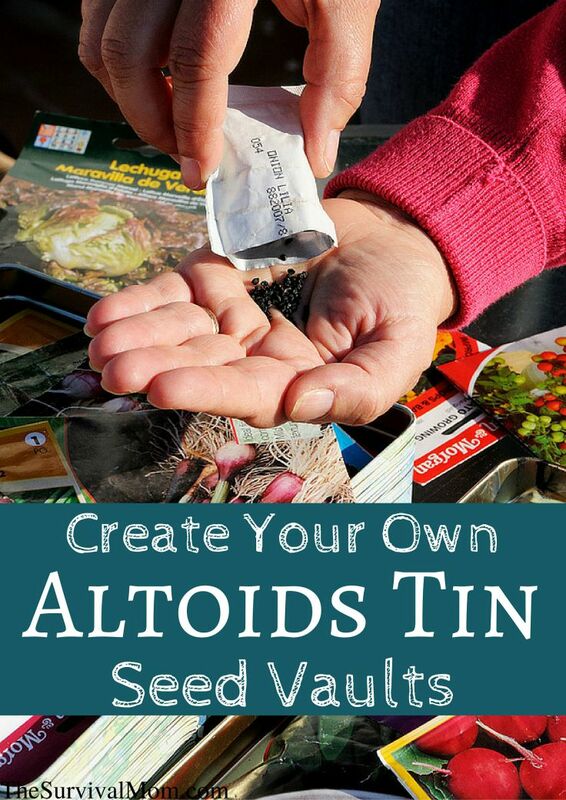 Why Altoids tins for your seed vaults? 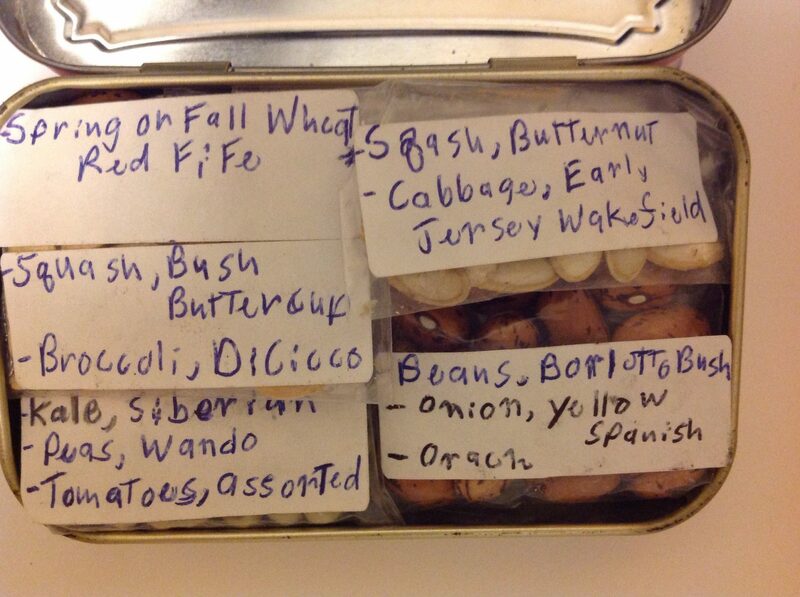 Altoids tins make great mini-vaults for your saved seeds because they’re rigid and easily waterproofed. They are small enough to be lightweight and easily concealed, while being large enough to hold a meaningful amount of material. That brings us to seeds. 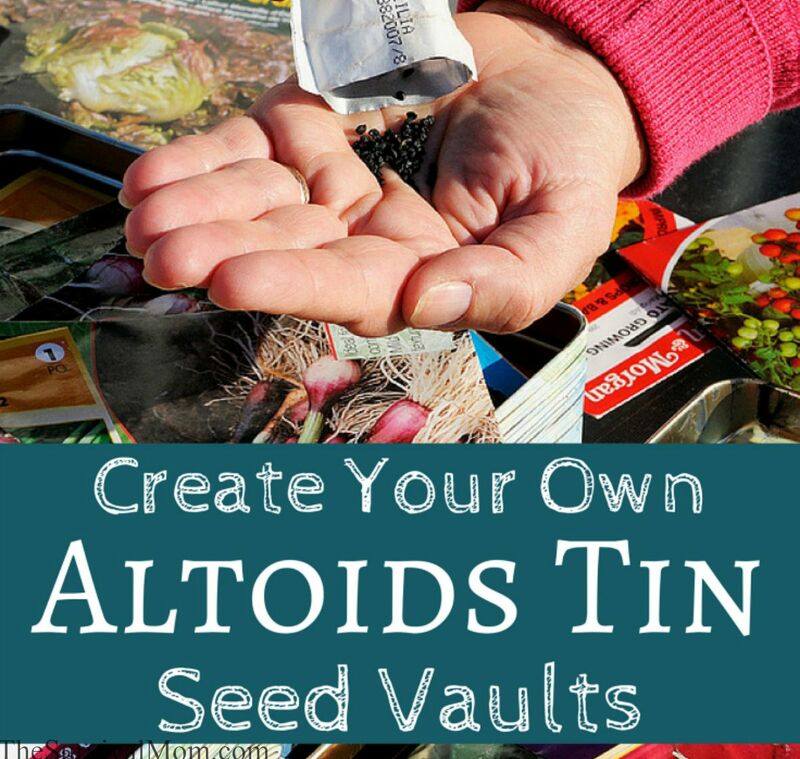 There are emergency seed vaults for sale all over the Internet or instructions for making your own. Stored seeds are necessary (provided you actually garden, and know how to use and save seeds) and I can’t possibly urge you hard enough to have them. But like all preps, your seeds can go up in flames, wash away in a flood, or fall victim to mice. They can be stolen or confiscated. LEARN MORE: Read these tips for saving and storing your own seeds. We have portable back-ups for water, food, medicine and defense. Where are your back-up seeds? E.A.T.S. Hey, it could have been worse. Knowing how enamored preppers are with acronyms, my friends and I wracked our brains for a good one. 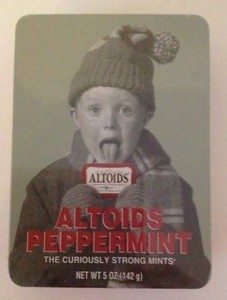 The only other actual acronym (as opposed to initialism) that we could conjure was Altoids Survival Seeds, but this is a family site. Obviously, having a larger and more comprehensive seed supply is preferable. But what if you can’t take it with you? Several years ago, I worked with a lot of Bosnian war refugees. Many of them fled their homes (often at gun-point) with only what they could fit in their pockets. They didn’t know where they would end up or if they could ever go home. It can happen here. It has happened here. Kind of a lot, actually. It happened to many Native American tribes. It happened to Latter-Day Saints repeatedly throughout the 1830’s and 40’s, to mid-westerners during the Dustbowl, and to Americans of Japanese ancestry during WWII. Thousands of refugees from Katrina hit the roads and streets, carrying what they could and hoping for the best. 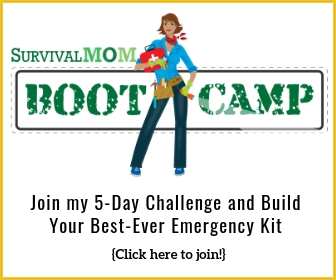 Your EATS is to seeds what a BOB (Bug-Out Bag) is to preparedness in general. 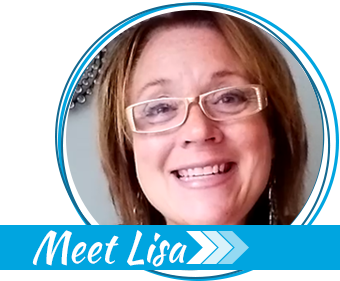 As Steven Covey teaches us…”Begin with the end in mind.” So what is our objective? Obviously, we can’t provide a complete diet from an EATS. If we were in a situation dire enough to use this, then we would probably be acquiring food everywhere except a grocery store: hunting, fishing, foraging, barter, etc. 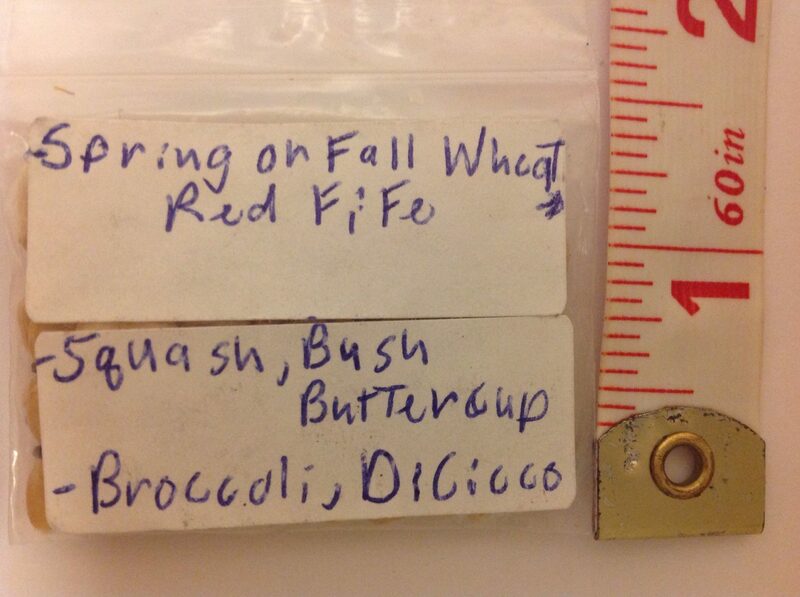 Our EATS would be a supplement to those measures until things stabilized and/or we were able to barter for other seeds. If seeds became so regulated and controlled that saving or trading them were functionally illegal, you could still provide for yourself and you would have a major advantage in the black market. I’ve known people from former or current Communist countries and other dictatorships. They have some interesting stories about illegal seed smuggling and clandestine gardening. If you don’t like any cole crops, you’ve probably only had them boiled to death. Try roasting, sautéing, or making slaw. Cabbage leaves can be stuffed with anything and baked in any sauce, or chopped and mixed with other vegetables. Population: Choose any 2 of the following, 40 seeds each. – Kale is even more heat-sensitive than the rest, but is extremely cold hardy and can be planted in the very early spring. Late summer plantings can survive well into the winter with mulching. If winter cold isn’t a concern, collards are another solid option. – Broccoli might not have the storage capability or extreme hardiness of the other cole crops, but it’s the only one that can produce seed in only one year. For that to happen, started them indoors and plant them in early spring. A little more child-friendly, it is palatable raw and the small leaves can be used like kale. – Cabbage is the most versatile. It can be stuffed, sautéed, steamed, eaten fresh in salad /slaw or pickled into kimchi and sauerkraut. Cabbage can be stored for months, but the regular green keeps longer than the savoy and red. – Turnips/rutabaga also store well. Rutabagas are milder flavored, but turnips are faster and produce greens. I don’t recommend other cole crops for an EATS kit because they’re more troublesome to grow, don’t store well, are harder to save seeds from, or they provide less nutrition for the area they consume. These are good for protein now and later. You never know if there will be animal proteins or grains available. – A multi-stage bean is edible in at least 2 of 3 stages: snap bean (like green beans), shell (like a Lima) and dry (soup beans). Not all can do this. Some candidates are Rattlesnake, Borlotto (AKA Tounges of Fire) and Cranberry. If your season is very short or cool, you should consider runner beans, but keep in mind that you will have to control pollination. – Peas bear earlier than beans and provide a psychological lift after a winter of uncertainty. Snow and snap peas are okay, but they’re lower protein than English (regular) peas and English peas can be canned or dehydrated. Like beans, it’s fine to save seeds from just a handful of plants. If you’re in a milder climate, you can substitute cowpeas (black eyed peas). All root veggies provide a lot of nutrients/calories/fiber for the time/space occupied, but beets also provide greens and red antioxidants. Beets can be planted in spring or fall and harvested at any size. Roots store well and can be used to create greens in winter. If you really hate them, substitute another root vegetable such as turnips. Turnips are desirable because they also have edible greens. No processing required! With squash, it’s okay (for one year) to save seeds from a single plant, so just a few seeds will do. Choose one each of two different species : maxima, (not necessarily massive, despite the name) , moschata (usually the longest keepers), and pepo (they don’t keep as long, but a shorter growing season makes them desirable for EATS). Try to stay in the 3-9’ish pound range. Buttercup, Butternut, Winter Luxury and Red Kuri are just a few possibilities. Why not larger ones? The seeds are bigger, you might not have a fridge for leftovers, and the vines are usually gargantuan. More importantly though, what if you’ve got four Jumbo Pink Banana squash ripening in the field and a miserable little woodchuck takes a bite out of two of them? You’ve just lost half your crop. But if, in the same space, you’ve got a bunch of Butternuts and the woodchuck violates two of them before you get him into a stewpot, you’re still doing okay. And it’s not just the squash: It’s also about the seeds. They’re a protein and oil source, nut substitute, and simple snack. If you end up in a situation without animal protein, then there also might not be enough fat. I know it’s hard for Americans to wrap their minds around struggling to get enough fat, but it can be a big problem in longer-term crises like war, pandemic, 30’s-style depression, etc. Fat provides vitamins E, A, D, and K. Deficiencies in those vitamins can cause a host of health problems that are pretty bad under current conditions but become life-threatening in a long-term crisis: fragile skin, brittle bones, blood-clotting problems, and even blindness. When I met WWII Concentration Camp and Russian gulag survivor Karl Schnibbe, he talked about weighing 90 pounds and being nearly blind by the time he got home to Germany. The doctor gave Karl’s mother the last precious bottle of cod liver oil he had and told her to put three drops on her son’s tongue every day. It was a long road to general recovery, but his sight quickly returned. Squash seeds can do that too. Cherry/grape, paste, or smaller slicing types of tomatoes will bear earlier and more prolifically than larger types and dehydrate in the sun better. Red ones can be water-bath canned if you have jars. But the real beauty of tomatoes for the EATS kit is that they’re self-pollinating. It’s OK to save seed from a single tomato, so you can save more kinds in almost no space at all. Just make sure one of them is super-early and another is a paste type. And include a “blue/purple” one for the anthocyanins. They don’t need to be individually labeled. If you like, tape a list inside the kit and you can identify the varieties from a minimal description (i.e. ; “Jersey Devil – big, red, paste”) or a name that says it all like “Black Cherry”. Don’t dismiss onions because they don’t seem like a “real” vegetable. They go with anything, embellish boring staples, and help redeem foods of dubious provenance. (Remember Mr. Woodchuck from the squash patch?) They store fresh for winter and dehydrate well. They are medicinal and repel Cabbage Worms if interplanted with Cole crops. They are day-length sensitive, so consult catalogs or locals about which ones to grow. Yellow keeps longer than red or white. If your growing season is really short/cool or your soil really heavy, then opt for bunching or Welsh onions, which are perennial. Bunching onions won’t make big bulbs that store for winter, but they can be pickled, dried or winter-grown in a window or makeshift greenhouse. Population: 50 by themselves or 20 as a backup to bulb onions. A pest-free, all-purpose seasoning that’s a fabulous breath freshener when chewed. Has more vitamin C per ounce than an orange! These seeds provide food for this year as well as more seeds for next year, in case things don’t stabilize quickly (or ever). Grains don’t have to be ground into flour or rolled. They can also be sprouted or cooked like beans. In addition to food, grains and their straw provide animal feed/bedding, fuel, roof thatching, insulation, garden mulch, and compost. Okay…and beer. READ MORE: There are many, many different grains that are healthy and wholly nutritious. You don’t have to depend on just wheat for food storage or for seed saving. Read this for more information. Small, irregularly shaped patches can be planted on the edge of many ecosystems and look (to prying eyes) like weeds. In addition to the obvious choice of wheat, try hulless barley and hulless oats. Triticale has the best traits of its parents; wheat and rye. It’s supposed to be a good grain for beginners. Greens like orach and purslane are an optional supplement to foraged greens. Swiss chard is great if you’re not growing beets; they’ll cross pollinate to the detriment of both. LEARN MORE: Foraging can be a vital way to supplement your stored food. Learn the art of foraging with basic foraging techniques and know-how. Corn suffers tragically (and often irreparably) when there is less than a population of 100 plants. This is called “inbreeding depression”. Those two words are never good news by themselves, so imagine how bad they are together. Common green beans just don’t pull their weight nutritionally for EATS purposes. Ditto for summer squash, lettuce, cucumbers, melons, and peppers. Additionally, peppers set seedless fruit (or none at all) when nighttime temps drop below 55 for even a few days. If those temps aren’t a risk in your area and peppers are a big part of your life (or the local culture) then go ahead and sneak in a few…I won’t tell. They’re self pollinating, so a half dozen is plenty. Carrots, parsnips, and spinach are a bit of a pain in the neck to save seeds from because of germination, pollination and ripening issues. If you’re experienced with these crops or willing to experiment with (or forfeit) future seed, then include 20-30 seeds each. One of the problems with seed vaults is all the space wasted on packaging. One key to the EATS kit is combining multiple seeds in tiny ziptop bags sold for beads. I used the 1.5″x2″, but longer ones will work with more multiples in them. Dime coin rolls fit perfectly in the tins and most banks give them away for free, just be sure to tape the ends shut. The other key is to use smaller seeds to fill the airspace between larger ones. Sprinkle them on like pepper and shake them lightly so they filter down to fill empty spaces. Be sure to combine easily identifiable, and clearly different, seeds in each bag. Don’t sweat the combined packaging. It’ll probably be you using the seeds, but if they get gifted or bartered…Well, I’d be more concerned about the survival prospects, in general, of an adult who can’t differentiate the seeds in the image from the label. If they’ve only eaten tomatoes in the form of soup concentrate or squash that’s pre-diced in plastic bags, seed labels are probably the least of their worries. One last to-do before you seal your EATS: Use the lid. 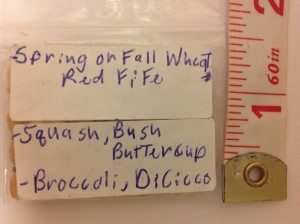 A contents list or very minimal instructions for growing or saving can be taped on the inside of the lid, or possibly a warning about which items take two years to produce more seed. There really isn’t room for anything more than a slip of paper inside the lid. More could be fit on the paper if it were printed on a computer and not by hand, but computers aren’t really my thing. I can scarcely check my email without hurting myself. Now it’s time to finish your EATS. Ziptop bags are good moisture protection, but if you’d like back-up (or used coin rolls), waterproofing is easy. Apply an outer plastic bag, beeswax or cheese wax (paraffin/candle wax is too brittle and might chip off), or just “duck it” (duct tape). You’ll want to secure the kit with something to make sure it stays shut under any circumstances, so duct tape will kill two birds. Like all Altoids tin projects, your EATS is easily concealed in a pocket or coat lining, down a boot, in a child’s stuffed animal, or a hundred other places. They’re a handy size for keeping on you if the evacuation bus won’t let you bring larger items, or for passing on to neighbors, bartering for other goods, and as “thank you gifts” to agents of all kinds. Almost as good, they are so common that few people will think twice if they do happen to notice your tin. It might be a good idea to stash a few around your property and with a relative/friend/neighbor. If you have buried bug-out caches on the way out of Dodge, an EATS tin weighs almost nothing and more than justifies its space. When I first got this idea and made one, I was stunned by how much actually fits in there! I think you will be, too. 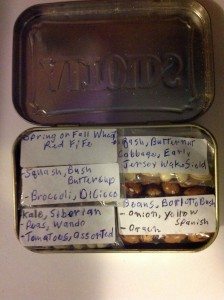 Example of an Altoid Tin seed vault. 3 crops in 3 square inches. Notice that there are larger populations of biennials because a few won’t be eaten. They have to be saved and replanted for seed. Not all preps are created equal. 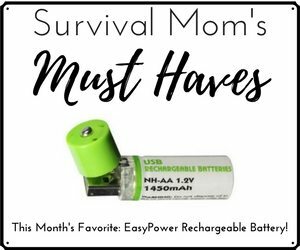 There are some things we buy and store or could use everyday (shampoo, Spam) and others we’d actually prefer not to have to resort to (ammo and, well, also Spam, depending on your preference). Since all stored seeds need periodic replenishment, an EATS kit is a little of both. It’s easy to make, very portable…and will cost you a mint. About 75 yummy, yummy mints. Excelent article. However, if the idea is to harvest seed from the plants grown with the seeds in your vault I would point out the cabbage and broccoli would cross pollenate. The two onions also. And the two squash. Seed collection is a whole encyclopedia all by itself. Cross-pollination can be a real bear! That’s why, in the Cole crops section, I recommend not having them in bloom at the same time. Better yet, knowledge is power: there’s a link in the article to a seed saving instructional website and another to my favorite seed saving book. Different species of squash don’t normally cross; I’ve been growing Butternut (moschata) and pie pumpkins (pepo) together for years with no crossing. Welsh onions regenerate themselves from the roots , so there’s one less worry. Brilliant!!!!! 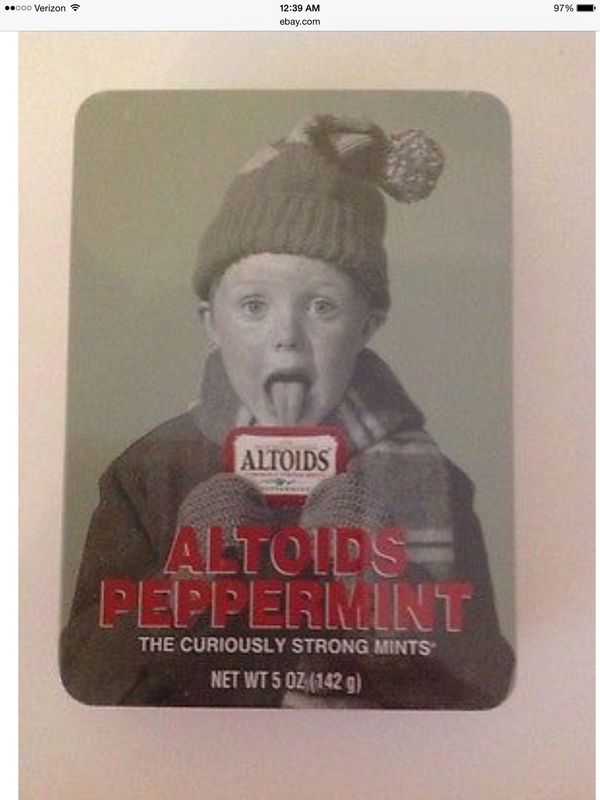 For me it would be ICE CHIPS candy made with Xylitol…(lymie staying away from sugar (trying ; )….the tins are the same. Still prepping although not sure if I could last during a bug out…someone might benefit though. It is a neat and well though out article that might save someone’s life one day. Thank you for such helpful information. RE: cole crops. I am a fair hand at tomatoes the size of basketballs, but can’t grow greens other than turnip and mustard. Mustard seeds (not what you make mustard with) grow like weeds, are sweet, and will reseed themselves. In addition, the deer and rabbits don’t seem to like them. You can get mustard green seeds at any feed store in this area. You won’t need to buy them more than once, no matter how you store them. Lol! Any greens the deer don’t like are worth a second look! If you’re getting lovely fruit but not such great greens, your soil may need nitrogen, or you could have a Ph problem. Your local Cooperative Extension almost certainly does soil tests for just a few dollars so you can be sure. Try growing your greens where you grew beans or peas last year or apply an organic fertilizer. Also, almost all greens can’t take temps much over 70 and have to be grown in Spring or Fall. For summer, try chard, Malabar spinach, New Zealand spinach or orach. Nice article. One thing I do differently. I have hypertension. Celery is a great help to eliminate hypertension. Therefore celery seeds are part of my kit. I like the Altoids can idea. I have been saving seeds in horse radish jars. Yea, I eat a lot of horse radish. The “3 crops in 3 square inches” caption under the completed EATS tin toward the end of the article was meant for the earlier picture of just one of the bags. The finished kit shown (including more bags underneath the visible ones) actually contains 16 crops in approximately 6.33 inches. It’s even more when you consider that the squash is also grown for the seeds, the beans can be eaten as both snaps and shells and several of the crops also produce greens. This article has really gotten me thinking, thank you… A few additions I would make though. 1. quinoa The seeds are a complete protein and nutrient dense. The leaves are edible as well. (Also flowers are a great bee attractor, if honey bees are a long term prep of yours.) Takes a long growing season though, may not be for all areas. 2. dill Tiny seeds, good germination rate, readily reseed themselves and can really help out with the lack of flavor of the daily cabbage. Not so nutrient dense though. 3. radish or mustard seed Or something like to keep appetite fatigue at bay. Radish, while not so nutrient dense, is a good early spring green with a bit of a peppery bite. And there is the delicious bulbs. It grows easy and quickly usually about a month, takes up little space and typically won’t mix with the brassicas. Some mustard seed plants have several medical qualities, grows quick and easy and those seeds make a great condiment for stretching that iffy last meal. Mind it though as it will mix genetically with that cabbage and make some funky babies. Love that you included parsley in this list.